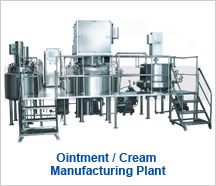 The Ointment Manufacturing Plants are ideal tools for the pharmaceauticals & cosmetic industries for the production of Ointment, Creame, Lotions, Tooth Paste & Other emulsions & homogenizations. Welcome to S J Pharma Trade Pvt. 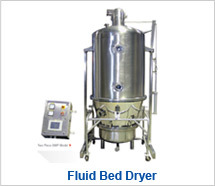 Ltd.
SJ Pharma Trade - is dedicated in the field of sourcing best equipments at most reasonable price from India. We select / recommend the best suitable machine from reputed manufacturers, which will be inspected before dispatch. We also provide installation and commissioning of all such machines by our engineer. The equipments available are of all sizes for manufacturing of Tablets, Capsules, Ointments, Liquid for Pharmaceutical Industry and supplied as per GMP standards and with proper documentation. We also deal into representation of various Equipment manufactures from Europe & Asia for pharmaceutical industry in India. We provide proper sales-service support to Indian companies. As a special case we also provide inspection services. Our engineer does the inspection on behalf of buyers at the location of manufactures though the order has been placed directly on manufactures.